Choose an enemy creature. At the start of your turn, destroy it and put a Completed Contract into your hand. 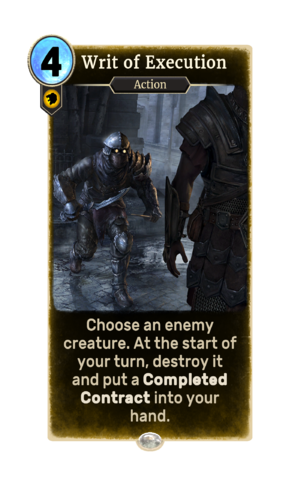 Writ of Execution is a common Willpower action card. It is part of the Houses of Morrowind expansion. This card applies the Marked for Death card effect.